Reading and spelling skills are the keys to unlocking your potential! 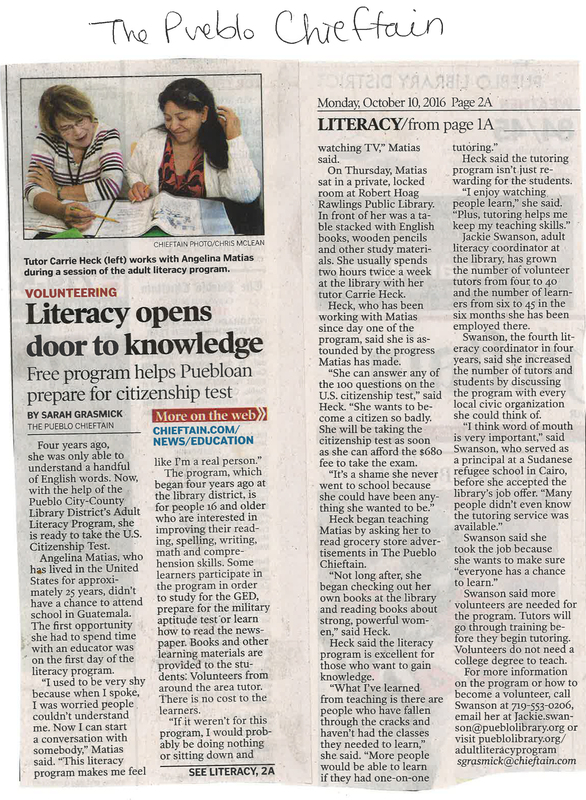 The Pueblo City-County Library District's Adult Literacy Program serves native English speakers and English language learners who want to improve their reading, spelling, writing, and comprehension skills. Our friendly staff and volunteer tutors create a supportive environment that encourages growth, achievement and success. Services offered: - One-to-one tutoring - English Conversation Club (for English Language Learners) - Books and learning materials designed for adults at all skill levels. See our article in the Pueblo Chieftan!